COLLAR: The collar is the piece of fabric and interlining that hugs the back of the neck. It is the keystone of a well tailored jacket. Collars on our bespoke jackets are custom made using Irish linen and wool melton. The tailor carefully works the collar with his iron before attaching it to the jacket, creating a shape contoured to the client's neck. 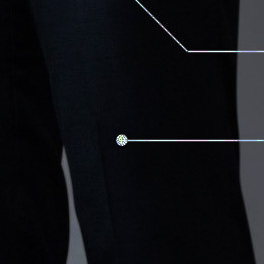 SIDE ADJUSTERS: Our trousers come with the option of belt loops or side adjusters, although we personally favor adjusters for their heightened functionality and clean aesthetic. SHOULDER: The shoulder line forms the crucial balance point of a jacket. It is first basted and pressed by hand before being sewn shut and is fitted with a custom pad designed to complement the shape of the client's shoulders. SLEEVE HEAD: The "sleeve head" is made of canvas sewn between the sleeve and the shoulder to give the top of the sleeve a smooth, crisp shape. The size of the sleeve head varies based on the style of the jacket. 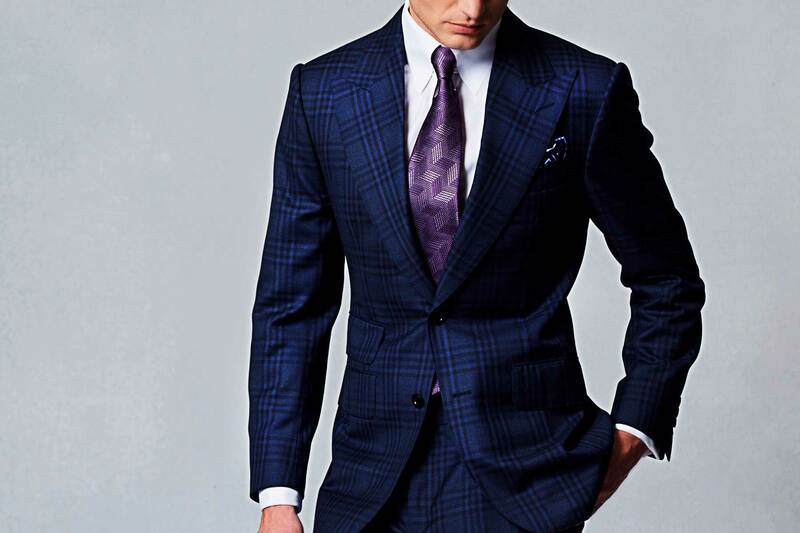 LAPEL: The lapel is the part of the jacket sewn to the collar and folded across the front of the coat. 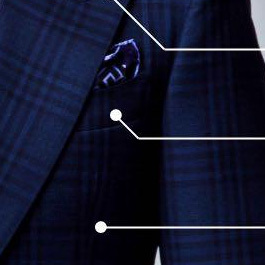 The size and shape of the lapel is a critical style element defining the piece's overall aesthetic. We offer over a dozen standard lapel styles in any width a client desires. FLOWER HOLE: Originally designed to hold a boutonniere, the lapel flower hole has outlived its original purpose but remains a key detail on a man's coat. Our exquisite Milanese-style flower hole takes over an hour to sew by hand. The stitches are so fine the individual threads are virtually invisible. BREAST POCKET: Each Michael Andrews jacket features our signature "barchetta" breast pocket. 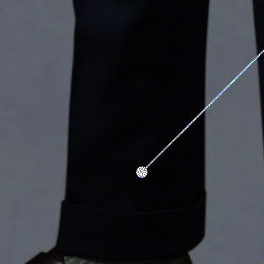 This unique curved pocket is a hallmark of a true handmade suit, as it can only be realized at the hand of an expert tailor. 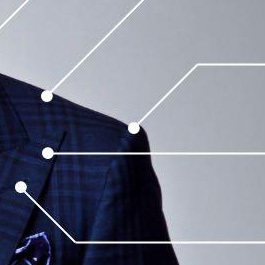 CANVASING: If the collar is the keystone, the canvas is the foundation of the jacket. It is what gives the jacket shape and brings the lapels to life. Our canvas is custom made in-house specifically for each garment. It is executed by the same master tailor who completes the jacket, ensuring a perfect marriage of the component parts. 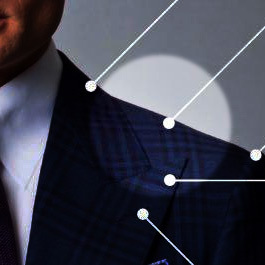 SILHOUETTE: The shape of a bespoke garment should complement the physique of the client. By default, we cut a modern, trim silhouette that's flattering on all men. Of course, should one's preference differ, we can achieve any aesthetic desired. SLEEVE: The jacket sleeve is cut as slim as possible without being restrictive. It is hand-set to allow for the greatest range of motion. POCKETS: Our pockets are all made by hand, ensuring they are as flat and smooth as possible. The lower pockets are attached to the interior canvas to keep them from sagging over time. The ends of the pockets are reinforced with hand-sewn bar tacks and half-moon stitches. 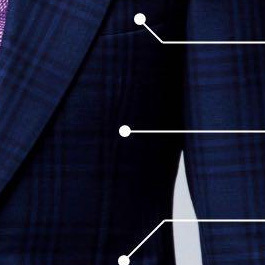 The size of the pocket flaps are scaled to match the width of the lapel chosen by the client. SURGEON'S CUFFS: The sleeves' cuffs are hand turned and finished with working buttonholes, another hallmark of a custom-made suit. 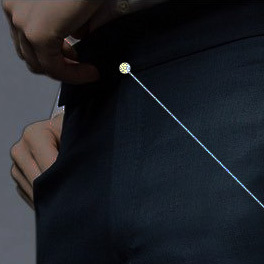 REAR POCKETS: While our trousers feature two rear pockets by default, many clients request a single pocket on their dominant side as a signal to others in the know that their trousers are bespoke. FRONT POCKETS: We offer front pockets in a half-dozen styles based on a client's preference. WAISTBAND: The waistband is constructed with genuine horsetail canvas interlining, expertly shaped to follow the body’s contour. Rubber grippers ensure one's shirt stays snugly in place. POCKETING: Our pockets are lined with shirting fabric for maximum luxury and comfort. 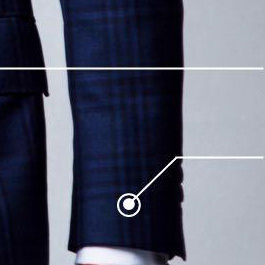 PANT LINING: Our dress trousers are lined to the knee with 100% bemberg lining. 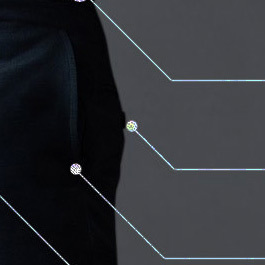 For larger clients, we line trousers front and back for added durability. 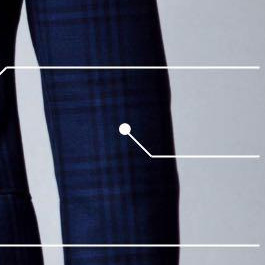 BOTTOM OPENING: The width of the trouser opening is a key styling consideration, as is whether to finish the trousers with a plain hem or a cuff. Our stylists are experts at guiding clients to the right choice. We use the finest cloth from the world’s leading mills. The inner linings of our full bespoke garments are made in-house from the best materials available including Irish linen canvas and French horsetail chest pieces. Jackets are lined with either solid colored Bemberg, a natural material derived from cotton, or patterned linings printed on a soft-wash fabric with superior ink-retention properties. Trousers feature handmade canvas waistbands and #3 Riri zippers – the finest in the world. Our bespoke vests, like our bespoke jackets, are fully canvassed without fusing. All our garments feature genuine buffalo horn buttons. True artistry is at the heart of every garment we make. No corners are cut. No shortcuts taken. No detail is too small. Each full bespoke piece is bench-made by a single master tailor, ensuring the garment is a unified work worthy of an artist’s signature. This commitment to craft is unheard of in today’s world of mass production, but the difference is undeniable. 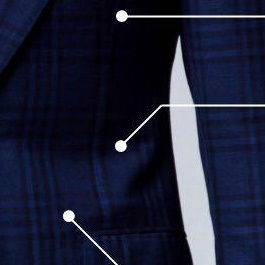 When a garment is sewn by hand, its component pieces move with greater freedom, providing more flexibility and range of motion in the finished garment. 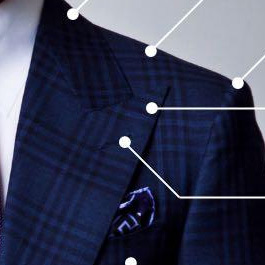 Feel for yourself the luxury of a handmade bespoke suit.